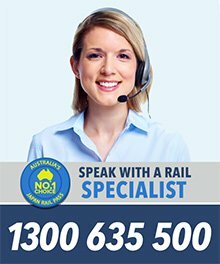 From Narita Airport, travel to Tokyo by taking the Narita Express. Look for the JR Ticket Service Center office at the airport (there is one at Terminal 1 and another at Terminal 2) and exchange your JR Pass voucher there. 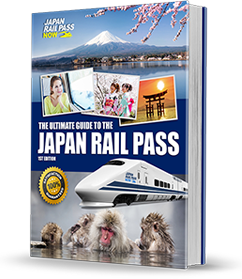 With your Japan Rail Pass ready and activated, you can get a seat reservation for free and be in Tokyo in about an hour. Start your Tokyo tour early in the morning with a visit to the Tsukiji Fish Market, which is accessible via the JR Yamanote and Keihin Tohoku Lines. Get off at Shimbashi Station and walk 20 minutes to the market. Next stop is the sumo district of Ryogoku, where you can find various sumo-related attractions, such as chanko restaurants, sumo stables and the Kokugikan Sumo Stadium. Also in the vicinity are the Edo-Tokyo Museum, Great Kanto Earthquake Museum and Tokyo Memorial Hall. To get there, take a JR Sobu Line train to Ryogoku Station. Ueno Park is a few steps away from Ueno Station, along the JR Yamanote and Keihin Tohoku Lines. 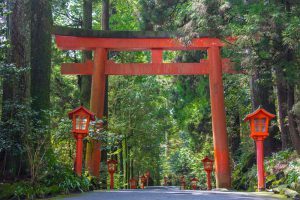 It has a number of historical attractions, including the Toshogu Shrine, Kaneji Temple, Bentendo and Kiyomizu Kannon Temple. It is also home to several museums, such as the Tokyo National Museum, National Science Museum and Tokyo Metropolitan Art Museum, and the Ueno Zoo. 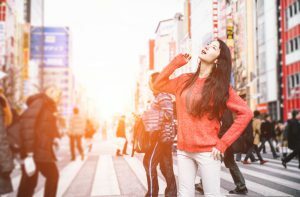 About a 20-minute walk away is the district of Asakusa, where you can find more ancient and Edo Period structures, such as the Sensoji Temple, Asakusa Shrine, Dempoin Temple, Nakamise Shopping Street and Shin-Nakamise Shopping Street. From Tokyo Station, take a Shinkansen to Nagoya Station, and then transfer to the Limited Express (Wide View) Hida train to get to Takayama Station. 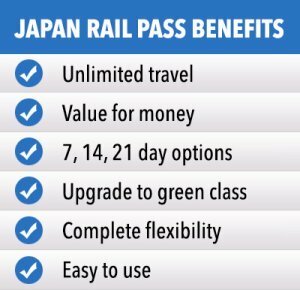 The trip is fully covered by the JR Pass and takes less than 5 hours. Some of Takayama’s important landmarks that you can visit as soon as you arrive are the Takayama Jinja and Yatai Kaikan. 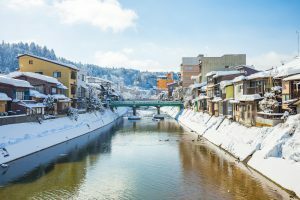 With a full day in Takayama, you can spend the morning exploring the Old Town and the afternoon at the Hida Folk Village. To reach Kanazawa from Takayama, get on the Limited Express (Wide View) Hida Line to Toyama Station and then transfer to a Shinkansen to Kanazawa Station. This journey is covered by the pass and takes about 2 hours and 20 minutes. 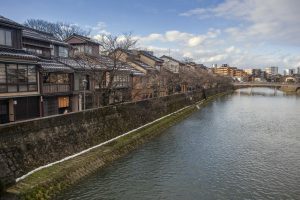 Kanazawa is home to some of the best historical and cultural destinations in Japan, such as the Kenrokuen, NInjadera, Higashi Chaya District, Seisonkaku Villa, Oyama Shrine and Kanazawa Castle. Head to Kyoto by taking the Limited Express Thunderbird train from Kanazawa Station to Kyoto Station. Covered by the JR Pass, the trip takes about 2.5 hours. 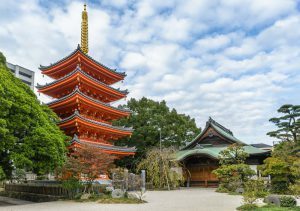 Kick off your Kyoto tour by visiting the sites in the central part of the city, such as Nijo Castle, Nishiki Market, Imperial Palace, Kyoto Aquarium and Kyoto Tower. 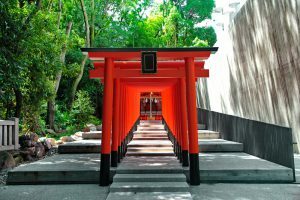 There are many attractions on offer in Kyoto, so start your day really early with the Fushimi Inari Shrine hike. After that, head to the east and walk along the Philosopher’s Path and check out the world heritage temples (Ginkakuji and Kiyomizudera). Then proceed to the northern part of the city and explore Kinkakuji, Ninnaji and Ryoanji. Covered by the JR Pass and only an hour away by train on the JR Nara Line, Nara is a good side trip to make while in Kyoto. Nara has a long and rich history and numerous well-preserved landmarks that date back to the 8th Century. 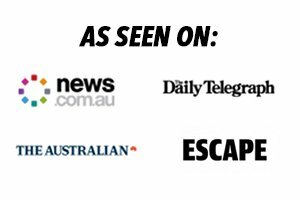 Some of its must-sees are the Todaiji Temple, Horyuji Temple, Nara Park, Kofukuji Temple, Heijo Palace and Yoshikien Garden. Arashiyama is found in Western Kyoto and can be accessed via the JR Sagano Line from Kyoto Station to Sagaarashiyama Station. 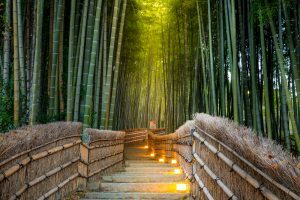 It has many ancient historical sites, including the Togetsukyo Bridge, Tenryuji Temple, Daikakuji Temple, Jojakkoji Temple, Nisonin Temple and Otagi Nenbutsuji Temple, as well as picturesque attractions, such as the Bamboo Groves and Saga Scenic Railway. 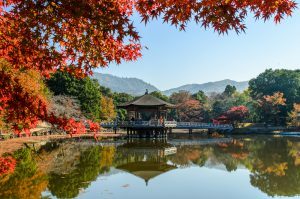 Hiroshima was tremendously damaged after the bombing in World War II, but today it offers many top notch attractions, such as the Peace Park, Shukkein Garden, Mazda Museum, Hiroshima Castle and the vibrant downtown area. From Kyoto Station, Hiroshima is just a 2 hour Shinkansen ride away and the trip is covered by the Pass. A small island about a 1-hour ferry ride away from Hiroshima, Miyajima’s Itsukushima Shrine, Daisho-in Temple, Senjokaku and walking trails to Mount Misen, never fail to draw tourists all through the year. Your JR Pass is valid on the JR ferry that leaves from the pier next to Miyajimaguchi Station. Fukuoka is the largest city in Kyushu and has an abundance of tourist attractions that have to be on your must-see list. 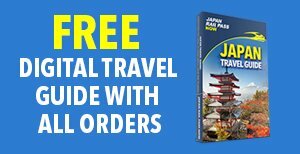 From Hiroshima, use your JR Pass to get on a Shinkansen to Hakata Station. 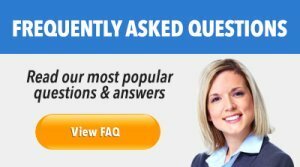 The journey takes 1 hour and 10 minutes. While in Hakata, don’t forget to try the famous Hakata ramen at Canal City’s Ramen Stadium on the fifth floor. 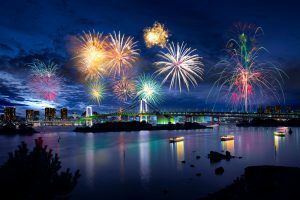 Your 1-day sightseeing tour of Fukuoka should include the Fukuoka Castle Ruins, Shofukuji Temple, Ohori Park, Momochi Seaside Park and Uminonakamichi Park. At night, dine at Yatai, or food stalls, and enjoy local specialty dishes. 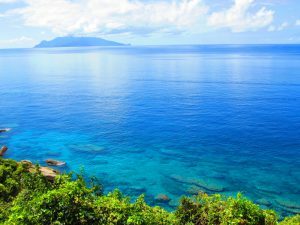 Your next destination is Kagoshima, which is about a 2-hour train ride from Hakata. From Hakata Station, take a Shinkansen to Kagoshima-Chuo Station and transfer to a JR Nippo train to Kagoshima Station (fully covered by the Pass). Set this day aside for exploring Sakurajima, one of the most active volcanoes in Japan. 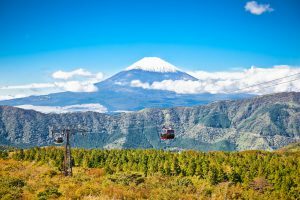 It has walking trails, an onsen, a theme park and observation decks that provide breathtaking views of the mountain, bay and surroundings. To go to Kobe, get on a Limited Express Kirishima train to Kagoshima-Chuo Station. Transfer to a Shinkansen to Shin-Osaka Station, and then take the JR Special Rapid Service Line to Kobe Station. This 5-hour journey is fully covered by the JR Pass. Once in Kobe, explore Kobe Harborland and try Kobe beef. 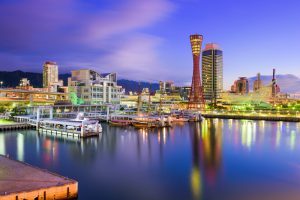 Visit Kobe’s Chinatown in the morning and then head to Meriken Park, where you can find the Kobe Tower, Maritime Museum and Great Hanshin Earthquake Memorial. Later in the day, get on the Shin-Kobe Ropeway (not covered by the Pass; round trip ticket plus herb garden ticket costs 1,400 yen) and enjoy magnificent views of Mount Rokko, Nunobiki Waterfall and the city at night. From Kobe Station, take the JR Special Rapid Service Line to Osaka Station. Transfer to the JR Kyoto Line to Shin-Osaka Station, and then board a Shinkansen to Odawara Station. This journey is covered by the JR Pass and takes about 3.5 hours. 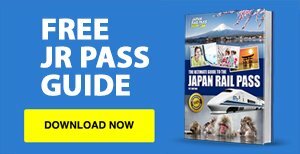 At Odawara Station, purchase a Hakone Free Pass, which gives you unlimited use of buses, cable cars, trains, ropeways and boats affiliated with Odakyu Railways. Because you are in Hakone for 3 days (Days 19, 20 and 21), get the 3-day pass at a cost of 4,500 yen. Visit some historical sites (Odawara Castle, Hakone Checkpoint and Hakone Shrine), museums (Open Air Museum, Pola Museum and Okada Museum of Art), and ride the Hakone Tozan Railway. If your body is beat after three weeks of travelling, it is time to get some relaxation and visit one of the many hot spring resorts in Hakone. Some popular onsen in Hakone are Yumoto, Kowakudani, Miyanoshita and Sengoku. Use your Hakone Free Pass to go back to Odawara Station. Then use your JR Pass to get on a Shinkansen to Shinagawa Station, and transfer to the Narita Express train to Narita Airport. The entire trip takes about 2 hours.